Schmetterling Aviation: Where ya been? You could be forgiven for thinking that I may have traipsed off on vacation, given the lack of reported activity here. Well, it's the standard excuse: I've been busy. Last week was eaten up with wheeling and dealing on various wheeled items. The first deal actually culminated in the creation of YAB, or Yet Another Blog for those of you unfamiliar with the TLA. ("TLA??" Ah, yes, TLA is a self-referential Three Letter Acronym) If you'd like, you can visit it at 21 Speeds to Nowhere. So, I bounced around like a kid with a new bike for a couple of days after that. Then came the Thursday crash. I hadn't even gotten out of the car after an irritating day at the paid and an equally frustrating commute when I was met with bad news: the Sears guy that had come out to do the annual inspection on the lawn tractor had found a broken weld and other damage to the apparently highly vulnerable mower deck. $1,280 for a new deck. 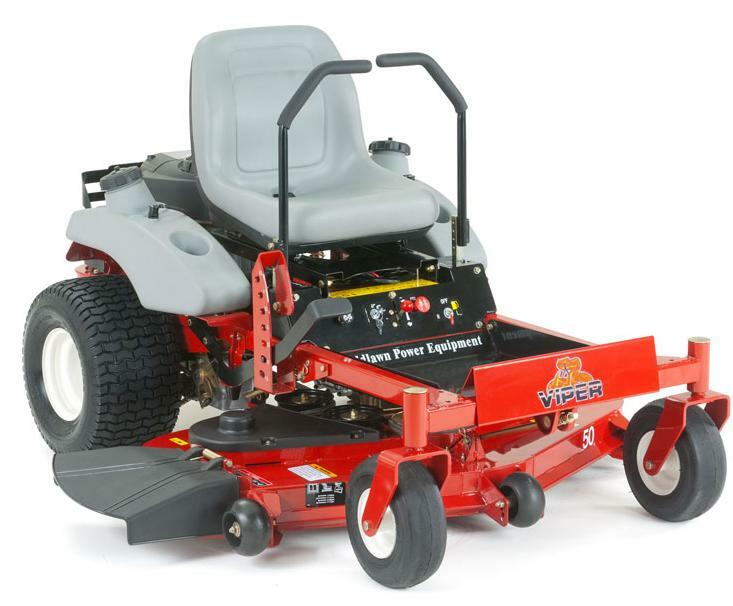 For a ten year old mower that has seen some pretty tough days? The mower, while terminally broken from a financial aspect, still mowed and would probably get us through this year's mowing season, at the end of which perhaps we would be able to get a replacement at end-of-season prices. It would help to know what I was in the market for, though, so I started researching. I've long wanted one of those zero-turn radius rides that the professionals use, but I had no idea what they cost. I do now: a lot! Shotgun Scott, the kind and patient fellow that introduced me to Sporting Clays, sells commercial power equipment for a local wholesaler, so I thought I'd hit him up for a recommendation. I've seen too many brand names sell out to big box retail (really, a John Deere at Home Depot prices? Who really makes that machine?) to count on picking a winner by myself. Well, he had something better: a residential model, manufactured by a company that makes mostly commercial stuff, that Scott's company had only ever used to display at trade shows for kids to sit on and dogs to pee on while Dad looked at the commercial equipment. In other words, pretty easy living for a mower. And, it was available within my budget after a massive discount from standard retail. In fact, I strongly suspect that I got it at or near wholesale cost. Well, I couldn't wait to get started running this thing around. In fact, I think I was already mowing before Scott had even gotten out of the driveway after dropping it off. I'm here to tell you: if you ever feel that you need a little dose of humility in your life, try driving one of these things for the first time. I'll just put it this way: it might have been better to make my first efforts out in the middle of the yard rather than along the edge of the house where, purely hypothetically, one might maneuver oneself into a position whereby a completely innocent down spout could be crushed flat. But all that aside, what about the weekend? Well Saturday was spent over in the other hangar tearing down the RV-6 for annual inspection. And it was cold. Sunday was colder. I stayed in. I've forsaken my winter climatological acclimatization too soon, it would appear, lulled into complacence by an early spring, followed by an unexpected Indian winter. Yes, I just now invented "Indian winter." Even this week has been difficult. In some type of tangible instance of the Peter Principle theory, I am finding that it is quite difficult to get my responsibilities at the oatmeal mine in order prior to my sailing trip next week. Which, it appears, means that I am doing something wrong. As it says in my book, The Peter Principle In Practice; How to Ensure Your Advancement to the Level of Your Incompetence and Get Rich Doing It, you are never supposed to be irreplaceable in your job. If no one else can do your job, in other words, no sane manager is going to promote you out of it. Or maybe the trip is just coming at a bad time. It's hard to say which, but it seems that a lot of loose threads are going to be blowing in the breeze next week, as am I.
Tonight, though, I managed to get an hour in at the hangar. I didn't get much done, but I was able to get one of the cowling side hinges match drilled to the lower cowling bowl. Naturally, the first step is clamping them into place. As I did that, I realized that I had put the rivet hole location marks on the wrong side of the hinge and that they would consequently be on the wrong side to be visible while drilling. Which, as you can imagine, makes them useless. It didn't take long to remove the hinges and measure out the marks on the correct side. I started to drill with my hand drill, but it takes two hands to operate and the pressure required to drill the holes was causing the edge of the cowling to bend quite precipitously. With both hands encumbered with the drill, I didn't have any left to hold the edge against the pressure of the drill. I had to switch to the electric. Note that this is pretty much the definitive way of drilling into your finger - see how my fingers were placed in an almost congressionally wide stance to avoid an unwanted perforation? And there's the first row done! It will likely be weeks before I get to the other side. Congrats on the new mower, Is the " F-16 " of yard mowers.